Name Variation Sven Albert Nygren was also known as Albert Sven. Sven Albert Nygren married Hilda Cecelia Carlson. Sven Albert Nygren was born on 14 November 1883 at Indiana. He died on 7 October 1962 at Clay, Minnesota, at age 78. Married Name Her married name was Nygren. Hilda Cecelia Carlson married Sven Albert Nygren. Hilda Cecelia Carlson was born circa 1892 at Minnesota. She died on 25 March 1953 at Nicollet, Minnesota. Carol Jean Nygren was the daughter of Charles E. Nygren and Loretta Poeppel. Carol Jean Nygren died at died in infancy. Doris E. Nygren was born on 28 September 1914 at Minnesota. She was the daughter of Sven Albert Nygren and Hilda Cecelia Carlson. Doris E. Nygren died on 27 January 2002 at age 87. Doris E. Nygren obtained US Social Security Card at Wisconsin; last residence Saint Peter, Nicollet, Minnesota. William Poeppel was born on 11 November 1889 at Germany. He married Clara Krempel on 21 October 1914. William Poeppel died on 1 September 1977 at Waukesha, Waukesha, Wisconsin, at age 87. Married Name 21 October 1914 As of 21 October 1914,her married name was Poeppel. Clara Krempel was born on 28 May 1887 at Hales Corners, Milwaukee, Wisconsin. She married William Poeppel on 21 October 1914. Clara Krempel died on 13 August 1968 at Waukesha, Waukesha, Wisconsin, at age 81. Carl Fredrick Hanusa was born on 2 October 1901 at Westfield, Sauk, Wisconsin. 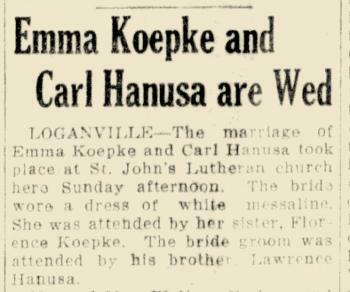 Carl Fredrick Hanusa married Emma Koepke, daughter of Emil Koepke and Hulda Gaetzke, on 20 March 1927 at Sauk City, Sauk, Wisconsin, Emma Koepke and Carl Hanusa wedding announcement. Carl Fredrick Hanusa died on 29 May 1976 at age 74. Carl Fredrick Hanusa obtained US Social Security Card at Wisconsin; last residence Clearwater, Pinellas, Florida. Married Name 20 March 1927 As of 20 March 1927,her married name was Hanusa. Emma Koepke was born on 1 January 1904. She was the daughter of Emil Koepke and Hulda Gaetzke. 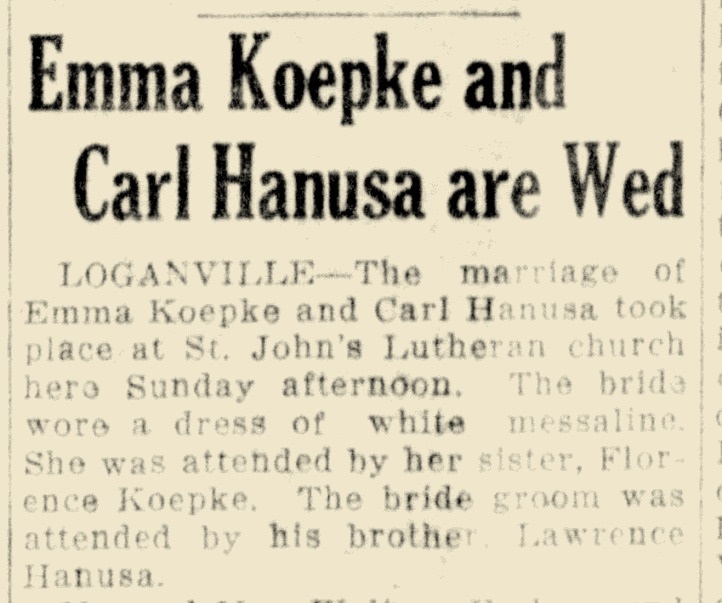 Emma Koepke married Carl Fredrick Hanusa, son of Carl W. Hanusa and Helene Buring, on 20 March 1927 at Sauk City, Sauk, Wisconsin, Emma Koepke and Carl Hanusa wedding announcement. Emma Koepke died on 3 January 1959 at Madison, Dane, Wisconsin, at age 55. Name Variation Christian A. Burmester was also known as Christ A.
Christian A. Burmester was born on 12 September 1902 at Sauk, Wisconsin. He was the son of William Burmester and Emma (?). Christian A. Burmester married Ruth Huntington Seymour, daughter of Merton Eugene Seymour and Blanche Alma Jeffries, on 1 September 1932 at Hillpoint, Wisconsin. Christian A. Burmester died on 4 December 1971 at Reedsburg, Sauk, Wisconsin, at age 69 Christ Burmester obituary. Christian A. Burmester obtained US Social Security Card at Wisconsin; last residence Reedsburg, Sauk, Wisconsin. She married Lewis A. Seymour, son of Merton Eugene Seymour and Blanche Alma Jeffries. Elizabeth A. Faivre was born in 1911 at Wisconsin. She was the daughter of Eugene William Faivre and Katherine L. Thomas. Elizabeth A. Faivre died after 1988. [S243] U.S. Federal Census 1920 U.S. Federal Census, by Ancestry.com, Year: 1920;Census Place: Ironton, Sauk, Wisconsin; Roll T625_2015; Page: 9A; Enumeration District: 168; Image: 179. [S250] U.S. Federal Census 1930 U.S. Federal Census, by Ancestry.com, ED17. Dwelling 124. 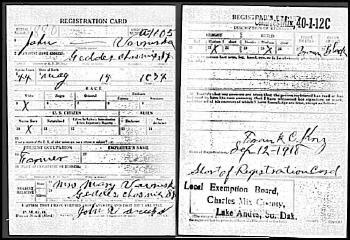 [S9] South Dakota, South Dakota Birth Records South Dakota, State File Number: 534226 (unknown file date). Name Variation Frances Vavruska was also known as Varuska. Married Name circa 1883 As of circa 1883,her married name was Pesek. Married Name circa 1889 As of circa 1889,her married name was Moravec. Frances Vavruska was born on 12 August 1865 at Louka, Moravia, also reported as Aug 1869. Frances Vavruska married Joseph Pesek Sr. circa 1883. 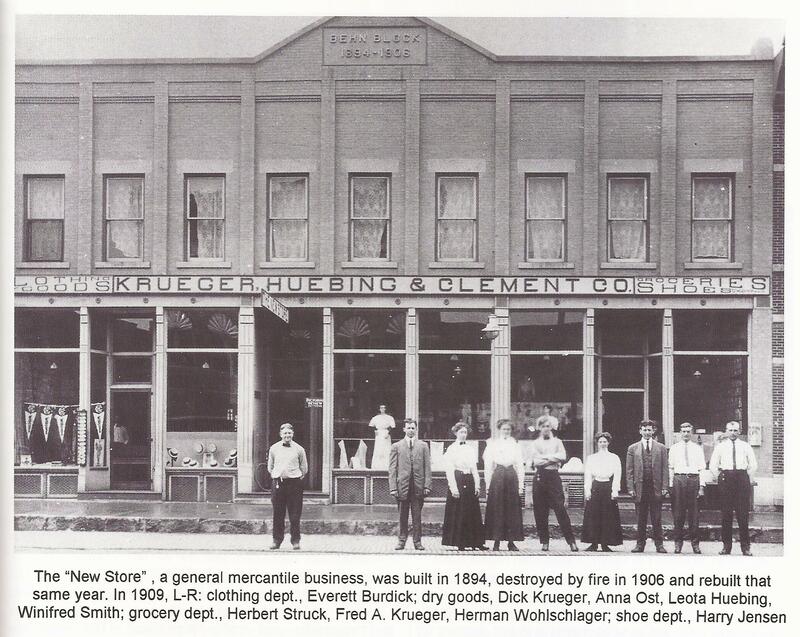 Frances Vavruska married Fredrick Moravec circa 1889.
om 30 miles away. Everyone who knew her loved her. V.J. Ptak, secy. Frances Vavruska immigrated with Frantisek Vavruska and Frances Pesa in 1873. Frances Vavruska had 9 with 9 living in 1900 children. Children of Frances Vavruska and Joseph Pesek Sr.
Name Variation Joseph Vavruska was also known as Varuska. Joseph Vavruska was born on 31 October 1869 at Louka, Moravia. Joseph Vavruska married Anna Slama, daughter of Anton Slama and Anna Dostal, on 7 February 1893. Joseph Vavruska died on 25 August 1953 at Tyndall, Bon Homme, South Dakota, at age 83. Grandfather Jos. Vavruska came to US in 1873 with parents Frank and Frances Pesa Vavruska. He had 8 brothers and sisters; Frances Moravec, Josephine Rehurek, Frank, John, Vinc, Mary, Hladky, Anna Petranek, Amelia Fridrich. Grandma Anna Slama b 1875 near Tabor, had two brothers, Adolph and Joseph. Joseph Vavruska and Anna Slama were m at Country Presb. Church west of tabor By Rev. John Linka. (From Irene Herman): They moved to farm 5 miles north of Tyndall where they resided until retiring to Tyndall 1940. They celebrated their 50th wedding anniversary in 1943, 60th in 1953.Joseph d Aug 25 1953; funeral conducted by Rev. Geo. Robinson burial at Country Pres. cemetery east of Tyndall. Annd d at home Nov 11 1963; Rev. H.E. Ivens officiated at services, burial at country cemetery. (From Tyndall Presb. Church Newsletter, re. roots of Louis and Edward Slama, Elsie Skorpik, Viola Pesek and Evelyn Stribal): Grandfather Anton Slama was b 1838 at Rovcine Moravia, Grandmother Anna Dostal Slama was born 1842. After their m 1869 they came to DT 1873, settled 1 mile west of where Presb. cemetery is now located. They lost four children during diptheria epidemic; Anna Vavruska, Joseph and Adolph survived. ch homesteeaders who lived 7 1/2 miles SE of Tyndall, were taken at one time by diphtheria 1876, leaving but three. The father lived to be 96 yrs. old and son Adolph, who survived epidemic, lives today (1979) at Tyndall Good Samaritan Home, alert at 93 despite loss of both legs to diabetes. LEGAL DOCUMENT: Naturalization Record- - First Papers. USA, State os SD, Bon Homme Co., First Judicial Dist. : Jos Vavruska personally appeared...made oath that he was born in Bohemia.. emigrated to US and landed to port of NY on or about month of May 1873; that it is his bona fide intention to become citizen of US to renounce...allegiance...particularly to Emper of Austria whereof he is aubject..Oct 7 1892. s/T.M.Hitt, clerk Circuit Court in and for Bonn Homme Co.SD CENSUS 1905 (Bon Homme Co. Sec. 1 Twp. 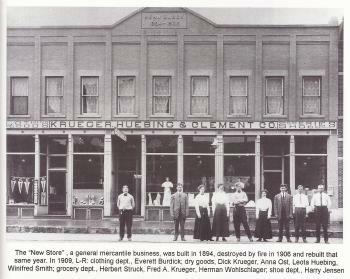 95) Joseph Vavruska, 36, farmer b Bohemia, in US and SD 33 yrs; wife Anna, 30, b SD; daughter Emma, 11; son Joseph, 9; son Adolph, 6; daughter Annie, 2. US CENSUS 1910 (Bon Homme Co.): Joseph Vavruska, 40, m 17yrs., b Bohemia, immigrated 1872; wife Annie, 34, mother 7 children, 5 living, b SD; daughter Emma, 16; son Joseph, 14; son Adolph,11; daughter Katherine (? ), 7; son, name illegible,3. ka in old Chalkstone church. Vince Rehurek and Mary Vavruska, now Mrs. Frank Hladky, sister of groom, were attendants. Joseph Vavruska immigrated with Frantisek Vavruska and Frances Pesa in 1873. Name Variation John Varuska Sr. was also known as Vavruska. John Varuska Sr. was born on 15 May 1874 at South Dakota. John Varuska Sr. married Mary Teply, daughter of Michael Teply, on 14 November 1893. John Varuska Sr. died on 17 February 1953 at Charles Mix, South Dakota, at age 78. [S245] U.S. Federal Census 1900 U.S. Federal Census, by Ancestry.com, ED79. Dwelling 55. Married Name 14 November 1893 As of 14 November 1893,her married name was Varuska. Married Name 14 November 1893 As of 14 November 1893,her married name was Vavruska. Mary Teply was born on 19 August 1876 at Tabor, South Dakota, also reported as Aug 1875. She was the daughter of Michael Teply. Mary Teply married John Varuska Sr., son of Frantisek Vavruska and Frances Pesa, on 14 November 1893. Mary Teply died on 20 February 1970 at Platte, South Dakota, at age 93. Mary Teply obtained US Social Security Card at South Dakota; last residence Geddes, Charles Mix, South Dakota. Children of Mary Teply and John Varuska Sr.
John Varuska Jr. married Tillie Kriz. John Varuska Jr. was born in 1897 at South Dakota also reported as Jan 1895. He was the son of John Varuska Sr. and Mary Teply. John Varuska Jr. was buried in 1981 at Pleasant Lawn Cemetery, Charles Mix, South Dakota. Name Variation William Varuska was also known as Willie. William Varuska married Mayme Rokusek. 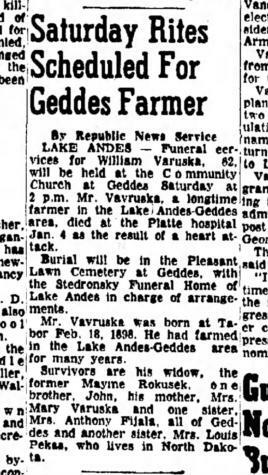 William Varuska was born on 18 February 1898 at Tabor, South Dakota, also reported as Feb 1897. 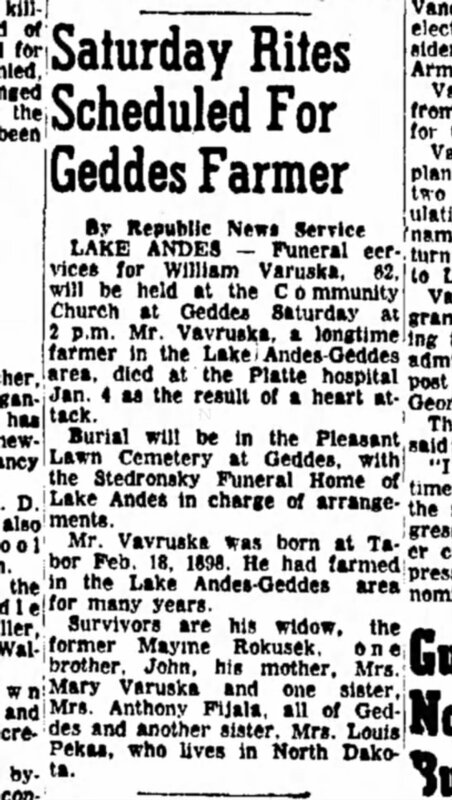 William Varuska died on 4 January 1961 at age 62. He was buried after 4 January 1961 at Pleasant Lawn Cemetery, Charles Mix, South Dakota. Martha A. Wollschlager was born on 11 January 1882 at Wisconsin. She was the daughter of Johann Heinrich Friedrich Wollschlager and Elizabeth Sophia Lutterman. Martha A. Wollschlager died on 27 April 1969 at age 87. 1 June 1905 Wisconsin State Census, Reedsburg, Sauk, Wisconsin Martha A. Wollschlager is listed as daughter on the census of 1 June 1905 in the household of Johann Heinrich Friedrich Wollschlager at Wisconsin State Census, Reedsburg, Sauk, Wisconsin. Martha A. Wollschlager had 1 with 1 living in 1910 children. 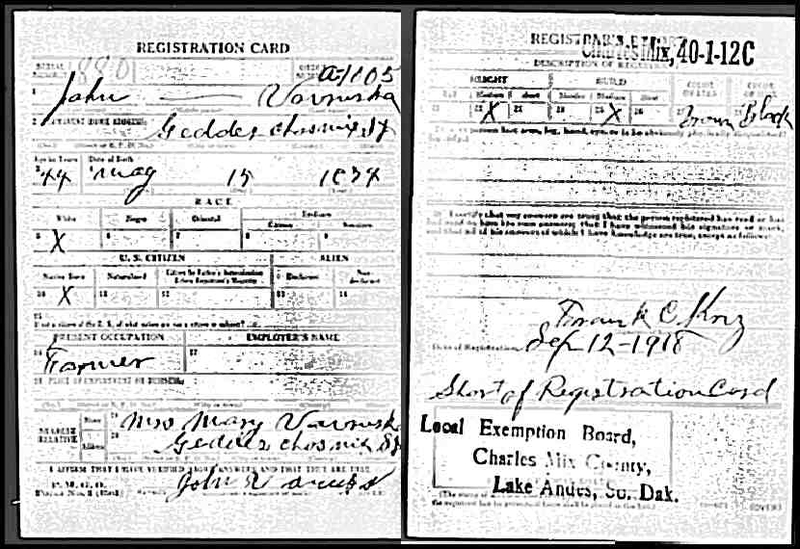 [S6] Wisconsin, Wisconsin Vital Record to 1907, Marriage Record ID: 2194599 vol 4 page 604. [S244] U.S. Federal Census 1910 U.S. Federal Census, by Ancestry.com, ED124. Dwelling 322. Name Variation Frederick A. Krueger was also known as Frederick G.
Name Variation Frederick A. Krueger was also known as Fred A. He was the son of Edward Krueger and Wilhemena (?). Frederick A. Krueger died on 12 January 1969 at age 86. Name Variation Melvin E. Krueger was also known as Melvin H.
Melvin E. Krueger was born on 4 October 1908 at Wisconsin. Melvin E. Krueger died on 17 February 1965 at age 56. 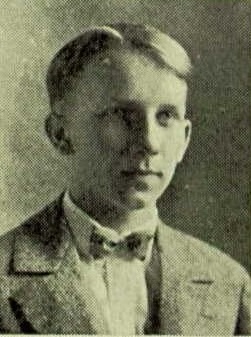 Melvin E. Krueger attended school in 1926 at Reedsburg High School, Reedsburg, Sauk, Wisconsin. Daniel John Evans was the son of George Evans and Mary Bryan. Elizabeth Margaret Evans was the daughter of George Evans and Mary Bryan. Name Variation Charles H. Tessmer was also known as Carl. Charles H. Tessmer was born in December 1851 at Prussia. He married Augusta Retzlaff, daughter of Charles Retzlaff and Eva Prieskorn, in 1876. Charles H. Tessmer died in 1932. Charles H. Tessmer immigrated in 1874. [S246] U.S. Federal Census 1880 U.S. Federal Census, by Ancestry.com, NA Film Number T9-1446 Page Number 79A. [S245] U.S. Federal Census 1900 U.S. Federal Census, by Ancestry.com, ED132. Dwelling 146. [S364] Wisconsin State Census Wisconsin State Censuses, 1895 and 1905, by Ancestry.com, Dwelling 155. [S244] U.S. Federal Census 1910 U.S. Federal Census, by Ancestry.com, ED113. Dwelling 30. [S250] U.S. Federal Census 1930 U.S. Federal Census, by Ancestry.com, ED11. Dwelling 35. Etta Tessmer was born circa 1878 at Pennsylvania. She was the daughter of Charles H. Tessmer and Augusta Retzlaff. Etta Tessmer died before 1900. Andrew H. Evans was born in 1849 at Silver Creek, Greene, Ohio. He was the son of William Lewis Evans and Dolly Glass. Andrew H. Evans died before 1856. [S249] U.S. Federal Census 1850 U.S. Federal Census, by Ancestry.com, family number 658. Edna Jane Evans married Isaac F. Dudley, son of (?) Dudley. Edna Jane Evans was born in September 1844 at Silver Creek, Greene, Ohio. She was the daughter of William Lewis Evans and Dolly Glass. Edna Jane Evans died before 1936. Charlotta Edna Dudley was the daughter of Isaac F. Dudley and Edna Jane Evans. Dollie L. McIntire was born circa 1908 at South Dakota. She was the daughter of John W. McIntire and Flora B. Parker. 1 June 1925 Hamilton, Marion, Iowa Dollie L. McIntire appeared on the census of 1 June 1925 in the household of Flora B. Parker at Hamilton, Marion, Iowa. [S243] U.S. Federal Census 1920 U.S. Federal Census, by Ancestry.com, ED56. Dwelling 145. Eva M. McIntire was born circa February 1910 at South Dakota. 1 June 1925 Hamilton, Marion, Iowa Eva M. McIntire appeared on the census of 1 June 1925 in the household of Flora B. Parker at Hamilton, Marion, Iowa. Leo M. McIntire was born circa 1903 at South Dakota. He was the son of John W. McIntire and Flora B. Parker. 1 June 1925 Hamilton, Marion, Iowa Leo M. McIntire appeared on the census of 1 June 1925 in the household of Flora B. Parker at Hamilton, Marion, Iowa.